New Delhi: The Supreme Court on Monday restrained the West Bengal government from arresting the Gorkha Janamukti Morcha chief, Bimal Gurung, over the raging unrest in Darjeeling. The Gorkha chief has been named in 31 FIRs in the wake of protests for an independent Gorkhaland. The apex court said that no coercive action shall be taken against him, and issued notices to the state and central government, asking them to hand over the probe to either CBI or NIA. The Court will once again hear the case after two weeks. Earlier in the day, the central committee of his party suspended him for six months. Gurung’s wife and GJM Mahila Morcha chief Asha, his close aide and party general secretary Roshan Giri and seven others were also suspended for the same period. Binay Tamang has been appointed the party’s new president. 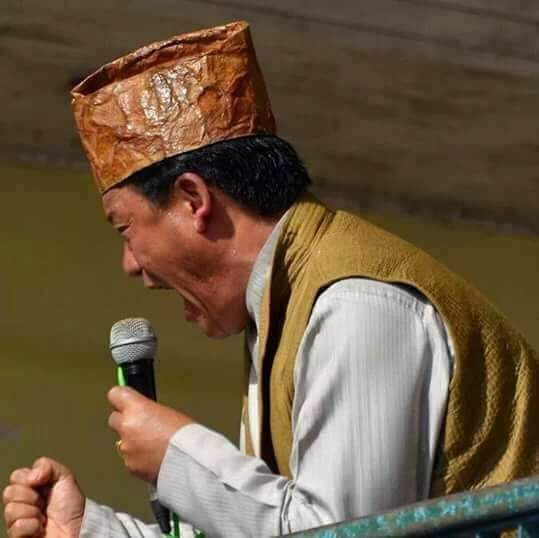 Gurung has been absconding since August after the state government lodged cases against him under the Unlawful Activities (Prevention) Act for his alleged involvement in bomb blasts in Darjeeling hills during the over three-month-long shutdown for a separate state. The shutdown was called off on September 27. The Supreme Court on Monday restrained the West Bengal government from arresting the Gorkha Janamukti Morcha chief, Bimal Gurung, over the raging unrest in Darjeeling. The Gorkha chief has been named in 31 FIRs in the wake of protests for an independent Gorkhaland.